So you’ve decided to store all your data at one of Data Space’s secure locations. You know that you can retrieve a document via Date Space’s scanning service to email so that there is no need for the actual document to be sent back to you. So far so good you’re doing the environment some good too! You’ll be pleased to know that your service provider for data storage is doing the same. 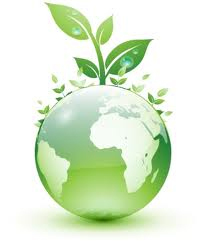 Data Space UK Ltd has an established environmental policy to do their bit to protect our planet for future generations. They have introduced a number of technologies and initiatives that have a direct impact on reducing their Carbon emissions and reduce their impact on the environment. Some of their systems immediately reduce the impact by their very nature; we’re talking about their digital systems like e-docs and FileLive which do away with the necessity for the physical delivery of documents thus reducing fuel use and emissions. As we mentioned, Data Space UK Ltd also offer the scanning solution and their tailored Electronic Document Management Systems to further save your need to print paper. Their delivery fleet haven’t been forgotten either. They have the latest euro emission engines, oil that is recycled and wherever possible parts are exchanges through dealer networks. All of this creates a reduced impact on the environment. Data Space ensures that all their packaging materials are recyclable and all their cleaning products are ‘green’. All paper products are recycled. Data Space support the World Land Trust who are active in saving rainforests around the world and have purchased and protected more than 300,000 acres of tropical forest in the last twelve years. Data Space UK Ltd is certainly doing their bit to save and protect our planet. Are you? Keep an eye on what DataSpace are up to on Facebook, Twitter and Linkedin.